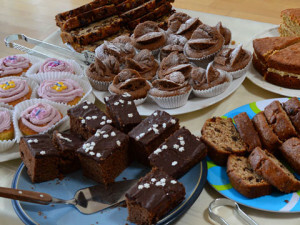 After the morning service on Mothering Sunday, Pippa Sayers is holding a cake sale to raise funds for a year of volunteering. In September, Pippa will be teaching maths and science (in French) in a secondary school in Senegal with the charity, Project Trust. In the afternoons she will be giving lessons to street children who have no other access to education. Pippa needs to raise £6000 for this exciting opportunity. Please come and buy some cakes on Sunday morning and find out more about her plans.